Musculoskeletal diseases are the most widespread chronic illness in the UK and one of the top 3 reasons why the over 45s visit their GP. 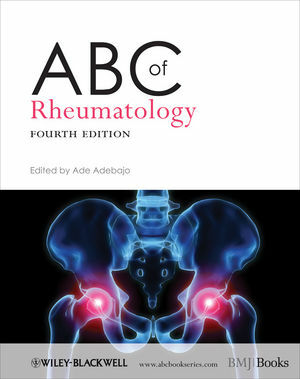 The ABC of Rheumatology is a practical, introductory guide to the diagnosis, management and treatment of rheumatology and rheumatic diseases for the non-specialist. Providing detailed overviews of all major areas of rheumatology this fully revised fourth edition includes updated information on new treatments, therapies, evidence and guidelines.